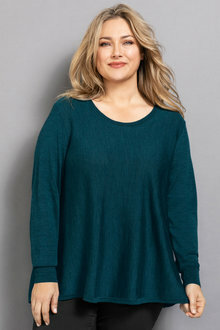 Stock Low : 1,520 items left. 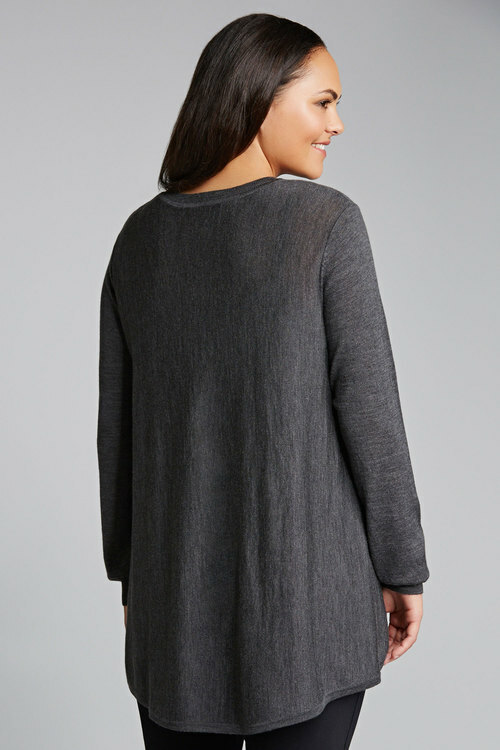 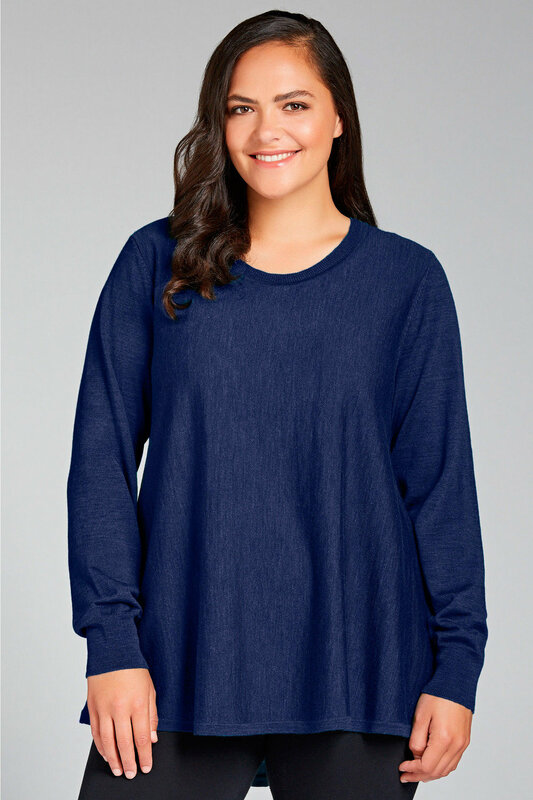 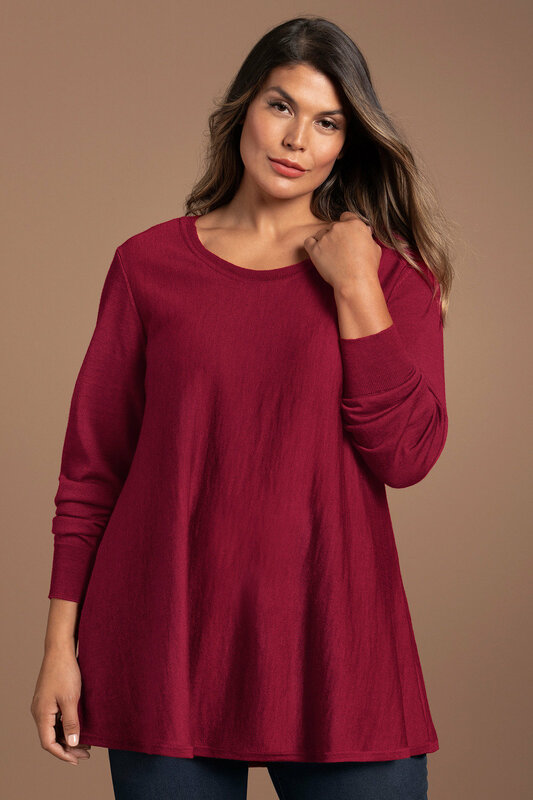 This luxuriously soft Sara Merino Swing Knit features a round neck, long sleeves and flattering a-line shape. The perfect piece for the cooler season, wear this knit over tapered pants with boots and add a statement scarf. Trapeze Fit – Designed to fit at the shoulders, flaring out over the figure, finishing with a wide hem.